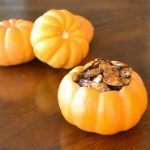 Making cinnamon roasted pumpkin seeds after we carve our pumpkins is a Fall highlight in my home. This sweet, crunchy snack is a family favorite. Plus, it’s a great way to get even more value out of our Fall pumpkins. The best part about cinnamon roasted pumpkin seeds is that they’re really good for you! Cinnamon has been scientifically proven to provide several health benefits, including lower blood sugar, reduced the risk of heart disease, and improved ability to fight off infections . Pumpkin seeds are an excellent source of omega-3s, magnesium, and zinc. They help us fight diabetes, improve prostate health, decrease blood pressure, and benefit our heart and liver. Even better, cinnamon roasted pumpkin seeds are super easy to make! 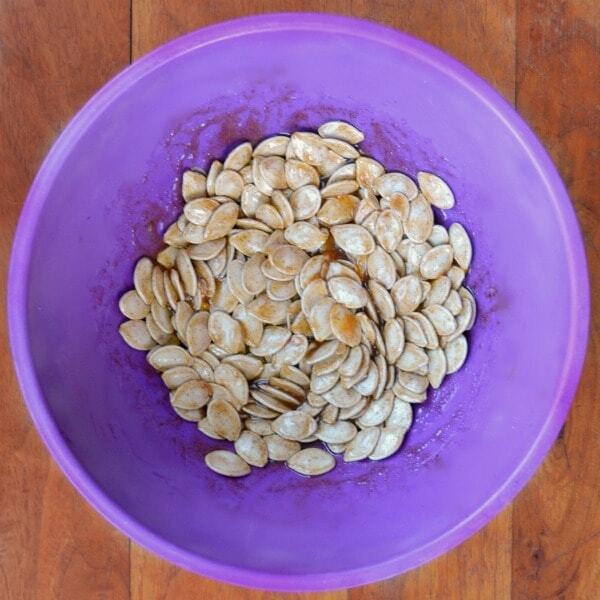 Just put the pumpkin seeds in a bowl as you clean out the inside of your pumpkin. This is a great job for the kids as you carve the pumpkin. Try to remove large chunks of pumpkin pulp, but don’t worry if a little gets left behind. The pumpkin pulp adds extra flavor. Then, pour some melted butter over the seeds and sprinkle on a teaspoon of cinnamon. For candied pumpkin seeds, add the sugar now too. Mix everything together to make sure the seeds are well coated. To save yourself some elbow grease later, line a baking sheet with parchment paper and spread the seeds out on top. Try to spread them in a flat layer. Bake at 350°F for 25 minutes. As soon as they come out, sprinkle them with sugar if you want. My kids prefer when I add the sugar post-baking instead of pre-baking. Since I like the candied/glazed look, I add half the sugar when I add the cinnamon (before baking) and the other half after they come out of the oven. 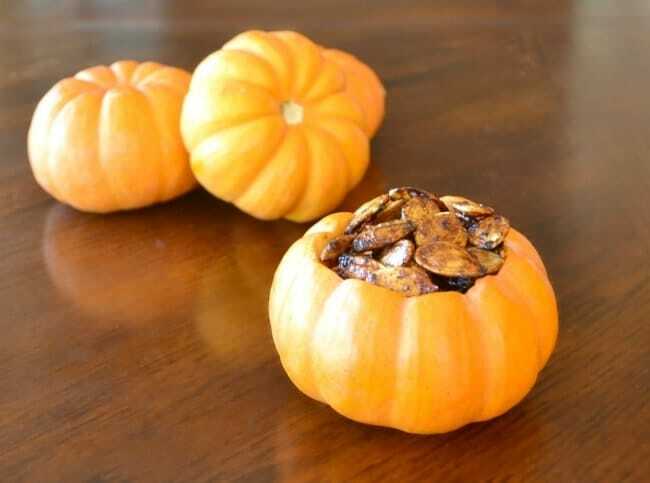 For added fun, hollow out a mini pumpkin to use as a bowl. 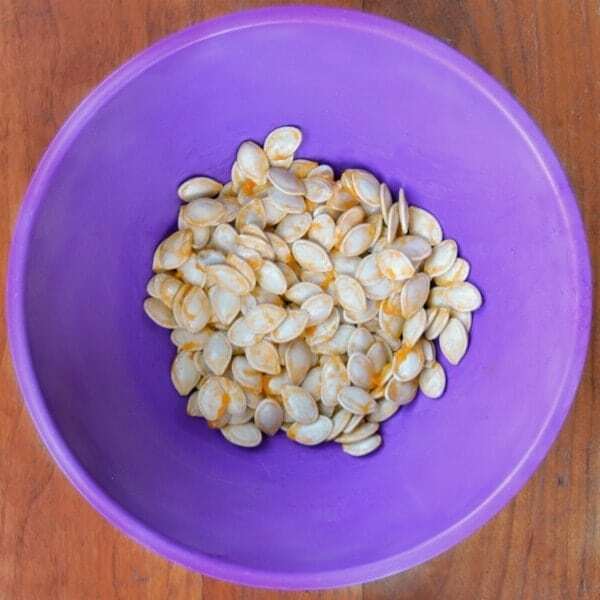 Place pumpkin seeds in medium bowl. Remove large chunks of pumpkin but don't worry if small pieces remain. Pour melted butter over pumpkin seeds. 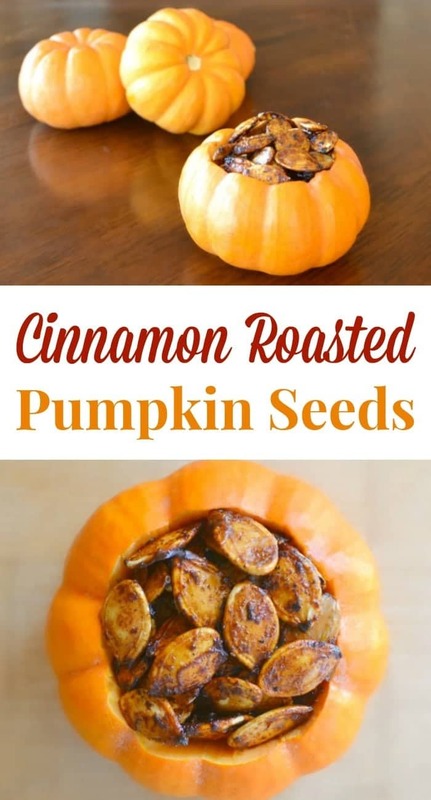 Sprinkle cinnamon and salt over pumpkin seeds. Add 0-2 tbs sugar to the mixture (remaining sugar is sprinkled on seeds AFTER baking) and mix well. 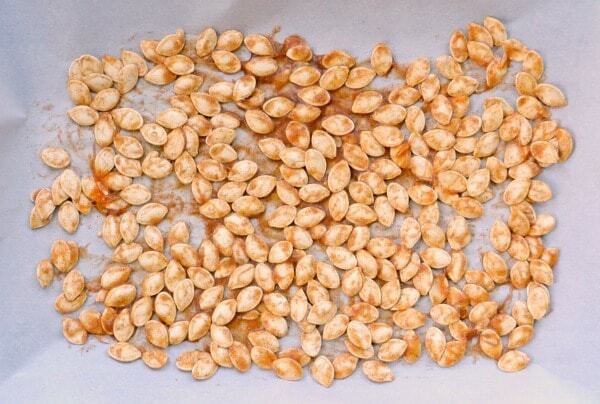 Line baking sheet with parchment paper and spread pumpkin seeds evenly in a single layer. Bake at 350°F for 25 minutes. Remove from oven and sprinkle immediately with remaining sugar (if any). Cool completely before serving. 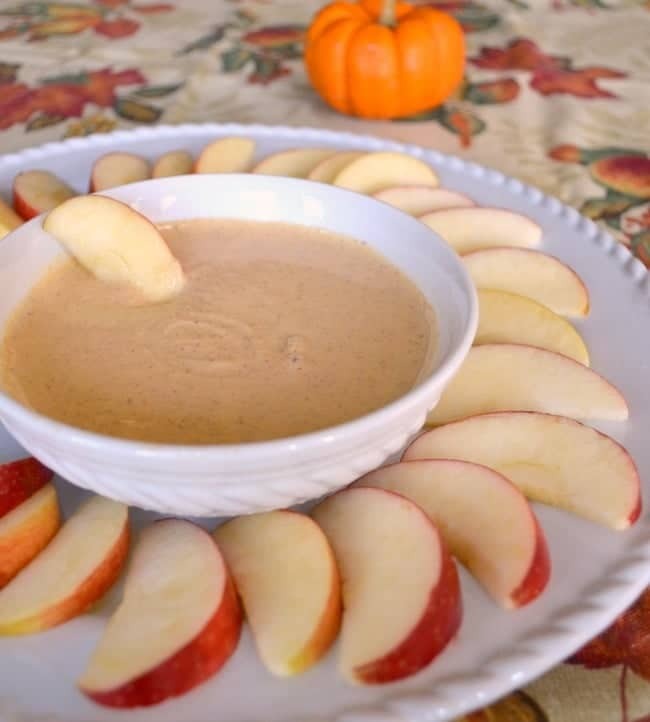 If you’re a pumpkin lover, you might also like my healthy pumpkin pie dip. I’m a fan of any pumpkin recipe. Looking forward to trying your spin on pumpkin seeds. I’m a huge fan of baking the pumpkin seeds afterwards. I secretly sometimes only carve the pumpkin for the seeds. I’m a salty person, so I love loading my seeds with seasoning salt. I will definitely keep this recipe in mind for next year. My husband had a sweet tooth so I could see him liking this. I hope your husband likes them. I bet a simple version with just sea salt would be just as tasty!